You are here: Home / motivation / What is Your Motivation Type? Many psychologists and sociologists believe that rewards and punishments are often counterproductive, because they undermine “intrinsic motivation”. When we rely too much on extrinsic motivation it may adversely impact our lives. But if you’re intrinsically motivated then you do things because they are fun or just simply the right thing to do…. While a paycheck is certainly an extrinsic motivator, if that is the only reason you go to work, then you need another job. If the only reason you are studying for a test is to pass the test (extrinsic) and not to improve your knowledge/performance/skill then you deceive yourself. An intrinsically motivated person will work on a math equation because she enjoys it. Such a person is motivated to work out a solution to a problem because the challenge of finding a solution gives her a sense of enjoyment. This does NOT mean that intrinsically motivated people do not want rewards; it just means that they don’t require external forces to get them to work on something. 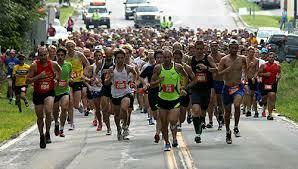 How many people in a race actually run because it’s pleasurable? But if your whole life is about extrinsic motivation and you don’t enjoy what you do for it’s own sake you really need to re-evaluate. Experts suggest that people are more creative when they are intrinsically motivated. In work settings, productivity can be increased by using extrinsic rewards such as bonuses, but the actual quality of the work performed is influenced by intrinsic factors. If you are doing something that you find rewarding, interesting, and challenging, you are more likely to come up with novel ideas and creative solutions. Adolescents find “studying” boring so extrinsic motivators have to be included at the risk of stunting creativity. Ultimately, the idea is that there should be just enough extrinsic motivation to let the intrinsic motivators rise to the surface and take over. 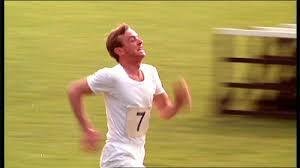 In the Movie, Chariots of Fire, Eric Liddle, the Olympian-turned-missionary to China, stated over and over again that he ran because he felt Go d’s pleasure. That’s it—it wasn’t about the rewards, the fame or the accolades. Running for its own sake gave him meaning and purpose in life. Say you need to lose 25 pounds, you check out the link for Over 40 Abs solution with the extrinsic motivation of dropping 25 pounds because you want to look better. As you lose the weight, you start feeling better, have more energy, and make better food choices, these motives now become intrinsic and your life changes! Share in the comments below what your personal motivations are?